Kamil Kamysz [design blog]: Why so serious? Designers can have fun! Why so serious? Designers can have fun! Hello! I've just noticed that most of my recent posts have been strongly focused on design in its pure form. Information design, typography and logo design are things I'm totally passionate about but hey, it's not about being so serious all the time! That said, let me give you some eye candy: a very special personal project I've been working on for the last two years. Finally, I made my dream come true and it's here, so I'm going to share a little bit of it with you. What's it all about? There's more eye candy, so read more after the fold! It all started from me wanting to wear something that would be unique. As a graphic designer, I like playing with different styles. Having to wear boring neckties when meeting my clients made me look really official and uninspiring. Creativity of a black suit would equal zero, but playing with its color would make me look too full of myself. This thought was a ground basis for designing a set of designer neckties that I wanted to communicate a simple message about me being a professional but hey, still having fun. It took me nearly a year to find appropriate materials to make it work. But I made it! Right now, all the neckties are hand-made and worked on by our small team (the other two people being Alexandra and Karol) to make every single detail look just perfect. 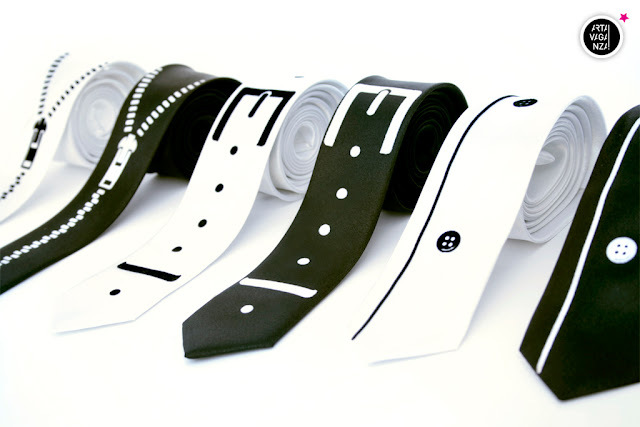 I designed three models of unique neckties, each in two versions: white on black and black on white. From left to right: Zip me up!, Lovebelt and Push the button. Then I thought maybe it could work as a perfect gift for my friends. Most of them liked the idea, so the next step was to prepare the Artavaganza boxes. I chose to leave them simple – there were enough shiny details in the designs, so I didn't want to spoil them by adding more. The logo and a simple label with the name of the model was enough. A black version of Zip me up! necktie. Who's to unzip it? Well, you probably wouldn't wear a necktie like that when going to a business meeting, but the great thing with Artavaganza is that it works just as well when you just want to look great. What's electrifying enough to make people look at it for hours? What's considered to be one of the sexiest part of a human body? Again, we decided to use only the best materials. We chose B&C t-shirts as a basis to work on (and we have tested many of them, checking the quality. You can read about the technical side here). And yet again, every single detail is being made by hand. From start to finish, the three of us are checking if every t-shirt is spotless. This is how the whole set looks like in Girl and Boy versions. From left to right: Fix me!, Taste me! and Heart attack. As you can see below, every t-shirt is packed in a single shiny box with our logo, model name and size. Going back to the title of this post, now's the time for a confession. Having lots of fun was not only a design aim for me. 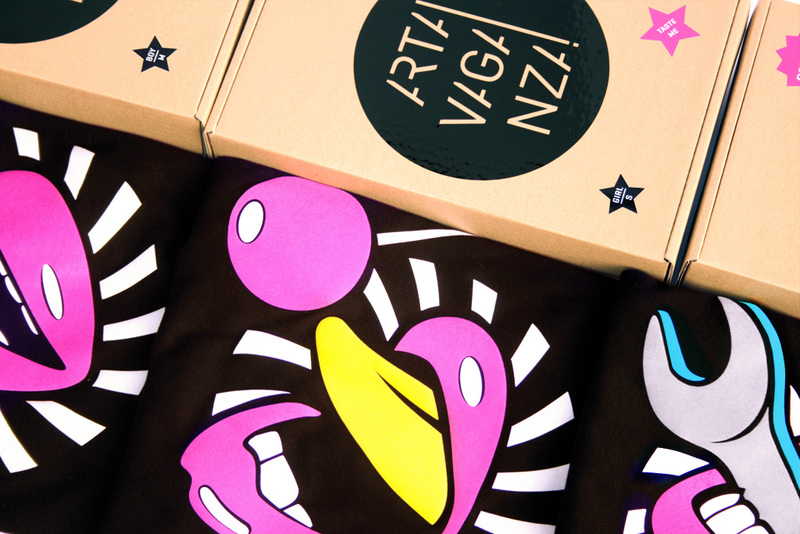 It was actually a great deal of fun to design the whole Artavaganza brand identity. Would you have fun wearing it? If you think you do, you can look closer at how we work as a team on our blog, Artavaganza. You'll find a detailed info on how it all started, what inspires us in our everyday work and even learn a little bit about the history of the neckties. All this in a sweet and sugary candy theme. You can get there by clicking on our logo to the left. We're also on Facebook, so if you'd like to see and read even more of the tasty candy bits, you can follow us there and share your thoughts with us. We love creative feedback, so don't hesitate to do so, we'd love to hear from you! 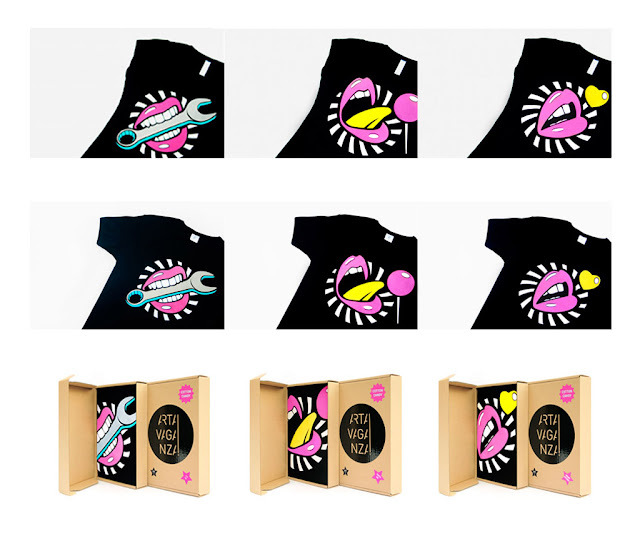 And finally, if you'd like to visit our Candy Shop with Artavaganza t-shirts and designer neckties, click on the pinky link to the left and dip yourself in the design sweets. PS. If you're from the EU, Russia or Cyprus and you'd like to buy some of our fashion sweets for yourself, we have great news for you: shipping is free! Great , great design ! This looks like fun! Exploring the rest of your blog and loving it! 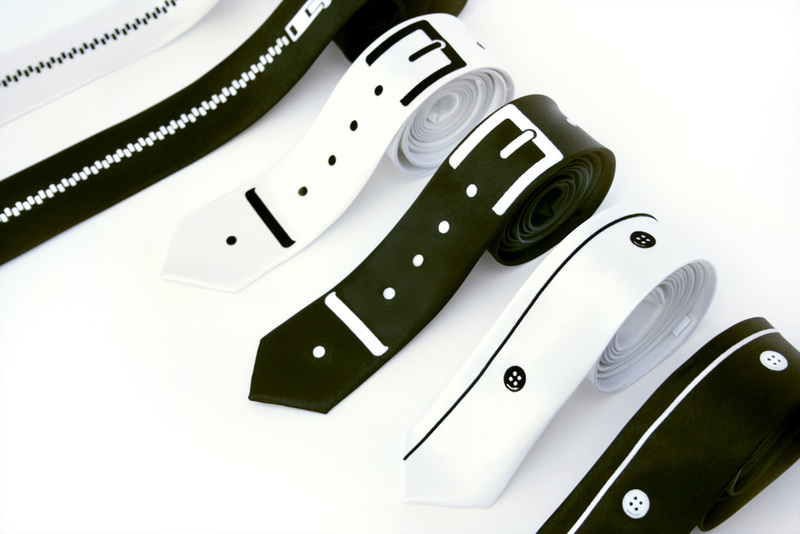 I love the neckties :) would totally wear it ! the T-shirts are maybe less original, but the design is great too. Great blog, nice to be here. These designs are really awesome, i love these kinds of printed T shirts. These kinds of printed shirts are really fabulous way to have fun in real means. Although the designs are full of fun, still they look simply adorable in a creativity aspect...all the stuff is extremely good and those printed t-shirts are simply amazing...Great stuff all around.!! This is simply the qualified data I am identifying everywhere.Me and my companion were contending concerning an issue comparative to this! Notwithstanding I know that I was right. Did you know about Freelance writing job service? I wanted to tell that your ideas connecting to this good post is supreme! Thank you very much for creating it! Hey! I'm at work browsing your blog from my new iphone 4! Just wanted to say I love reading through your blog and look forward to all your posts! Keep up the outstanding work! The necktie is so adorable, I think. =) I think that necktie can be use by girls too.